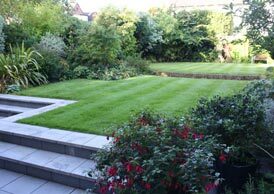 The main brief for this project was to create a link to the new extension recently completed at the rear of the house. 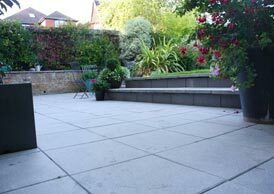 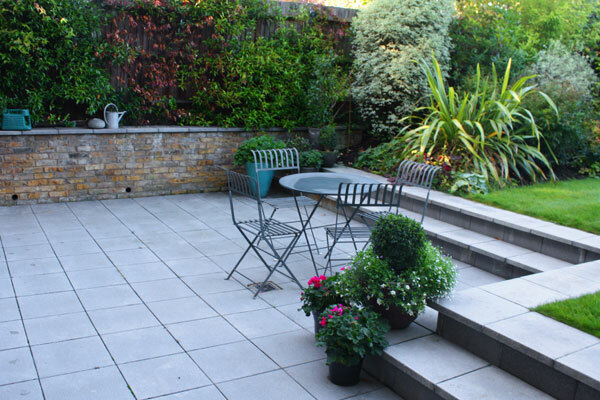 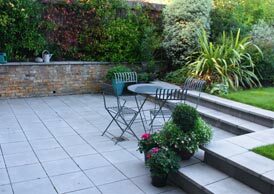 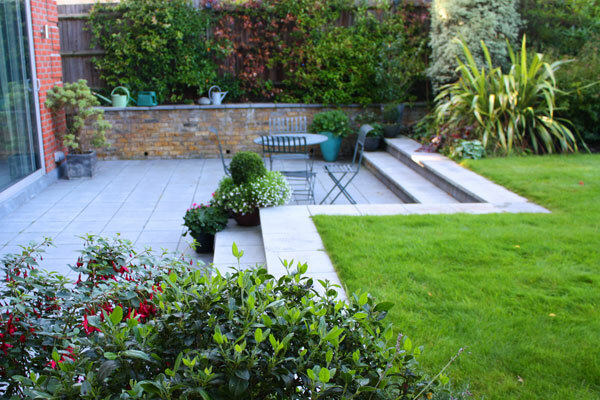 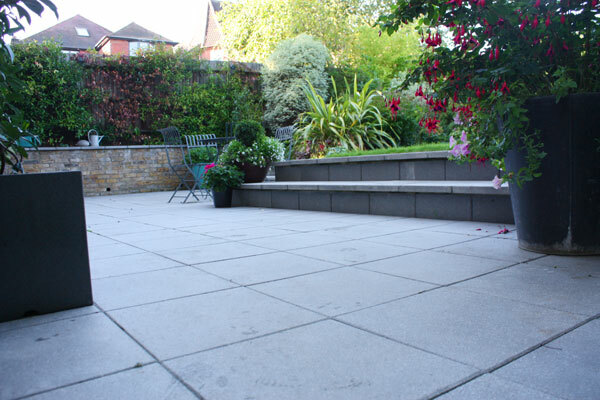 We excavated a great deal of material to enable a wide spacious patio to be installed at the same level as the interior. 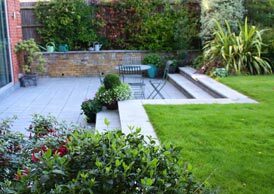 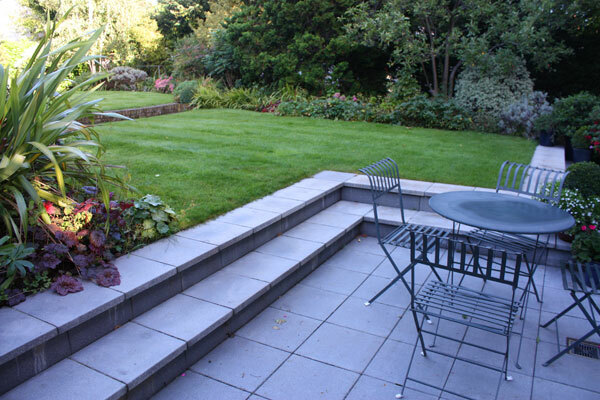 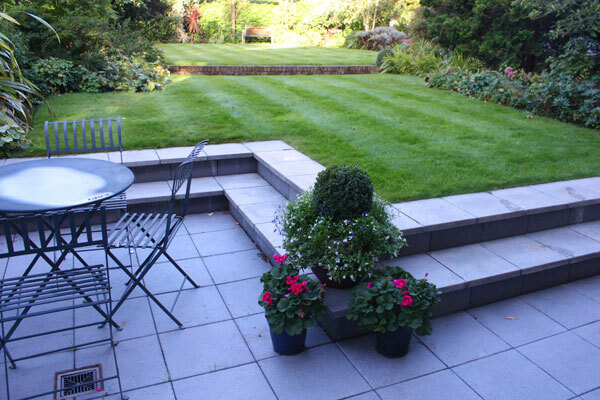 The wide steps act as a retaining element but also give the illusion of more space as there is no direct retaining wall in view from the house. 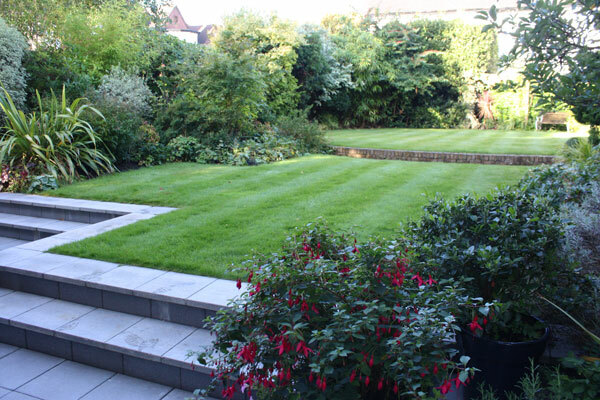 The whole garden gets opened up as a result. 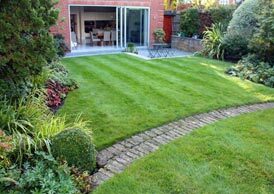 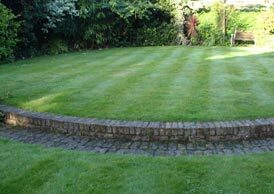 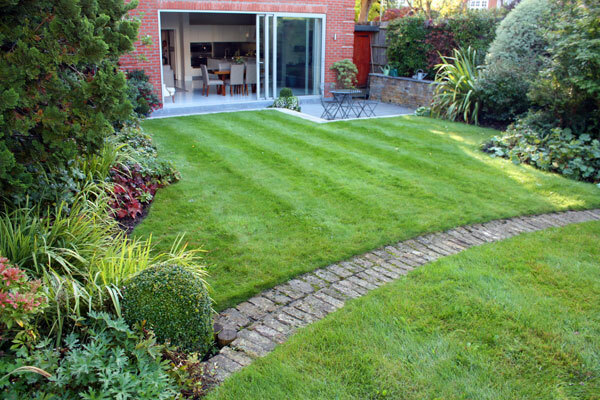 The levels have been dealt with by having an elevated rear circular lawn with curved pergola and bench seat area as a suitable focal point at the rear. 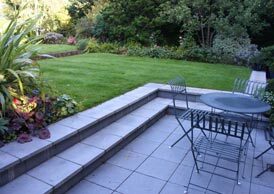 The pergola follows the lines of the lawn and is in contrast to the squareness of the lower patio areas. 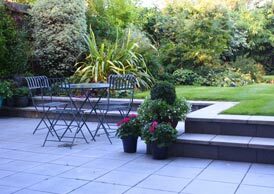 A woodland walk down the right hand side of the garden has been installed where there was a major change in level down the length of the garden. 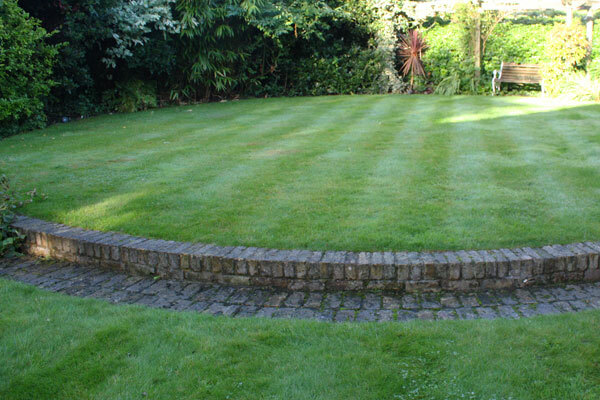 This provides a most interesting and unusual feature in a suburban garden.